OKB Grigorov is a small model company based in Bulgaria that you may not be too familiar with. 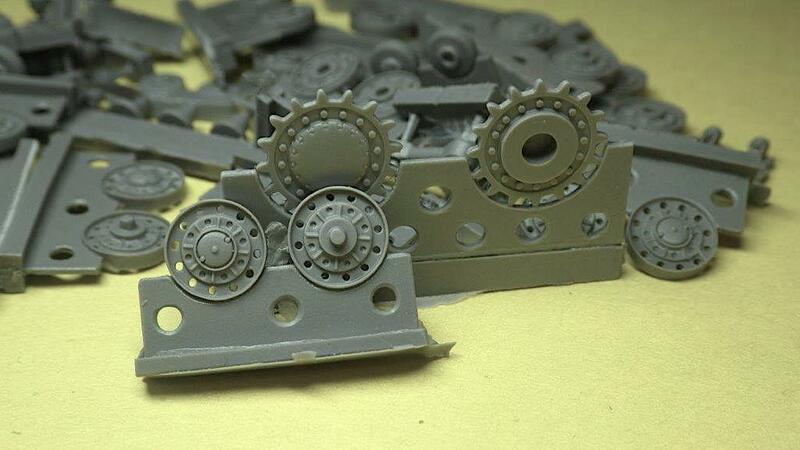 The company focuses primarily on AFVs, tanks, and naval ships in 1/72, 1/350 and 1/700 scales, and they have an extensive list of products available. They produce full resin kits with photo-etch enhancements, as well as resin, photo-etch, and white metal conversion pieces for other models. 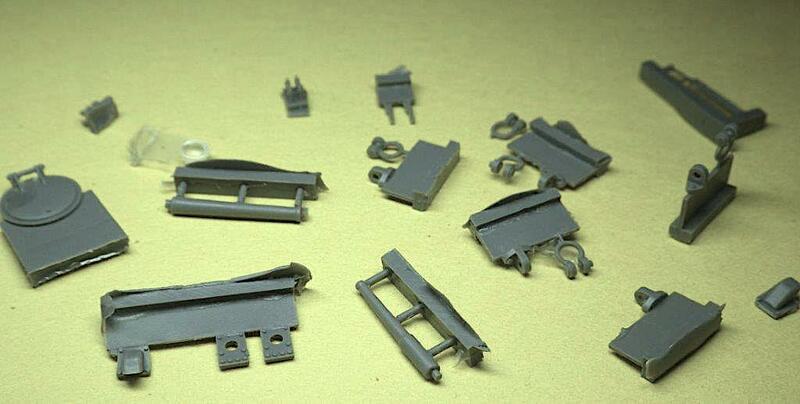 More recently, they began producing some plastic AFV kits. 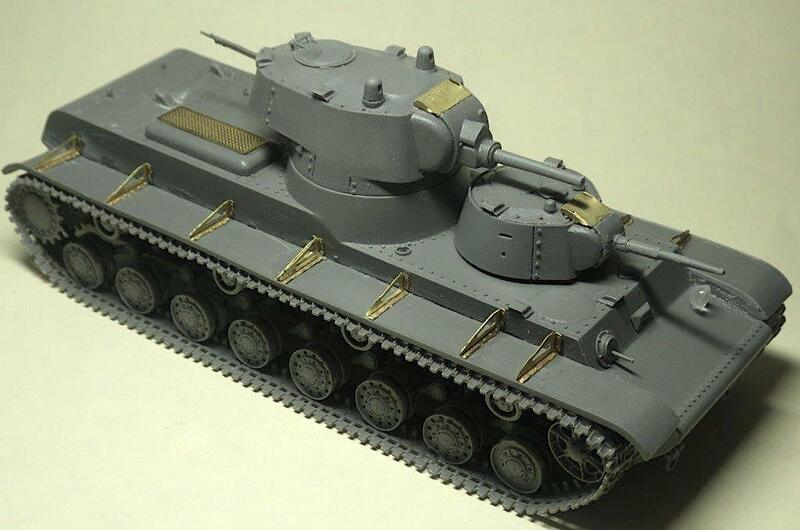 The kit I reviewed is a 1/72 scale version of the Soviet Heavy Tank SMK. The SMK was named for a Communist Party official who was assassinated in the mid-30s, Sergei Mironovich Kirov. It was developed in the late 1930s during a competition to replace the multi-turreted T-35. The SMK, the T-100 (another multi-turret design), and the KV-1 were developed around the same time, and following series of trials, the tanks were tested operationally in combat during the Soviet Union's Winter War with Finland. The SMK, T-100, and two versions of the KV-1 made up a company within the 91stTank Battalion. The SMK's performance was less than stellar. The multi-turret design had already fallen out of favor with Stalin, and its crew found the conditions cramped and the vehicle was just too heavy to operate efficiently. In fact, after the SMK tank was disabled by an anti-tank mine in Finland, it had to be abandoned for 2 months until the Soviets were able to reclaim the territory and bring in equipment heavy enough to tow it away. 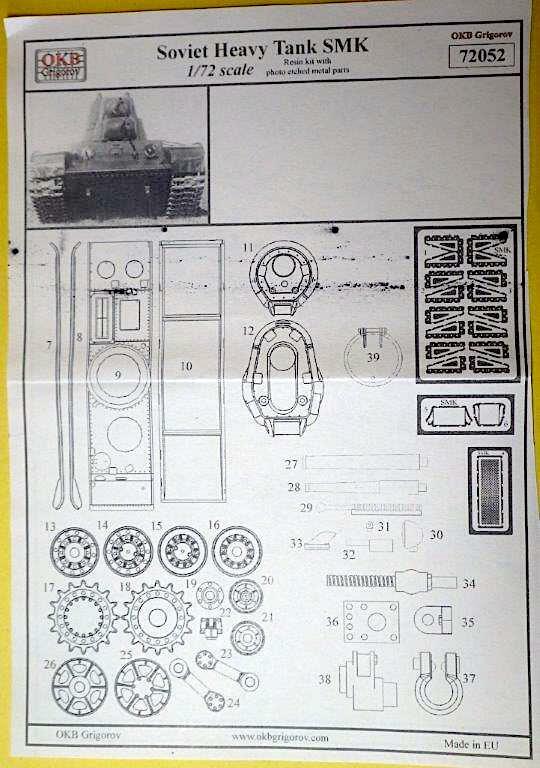 Only one SMK was developed, but never made it past the trial stage, as the Soviet Union preferred the KV series of tank designs over the multi-turret ones. The kit itself is all resin and comes in a bunch of small plastic bags. Each bag contains a number of small to smaller resin parts and opening the small box is kind of overwhelming. Like, "uh oh, what'd I get myself into?" However, once I started opening the bags and looking at the parts, the exceptional detail was really impressive. The parts are molded with little to zero flash and they're all still attached to their stubs, so take care when detaching the pieces. This is especially true for the road wheels and drive sprockets with their round connection points. 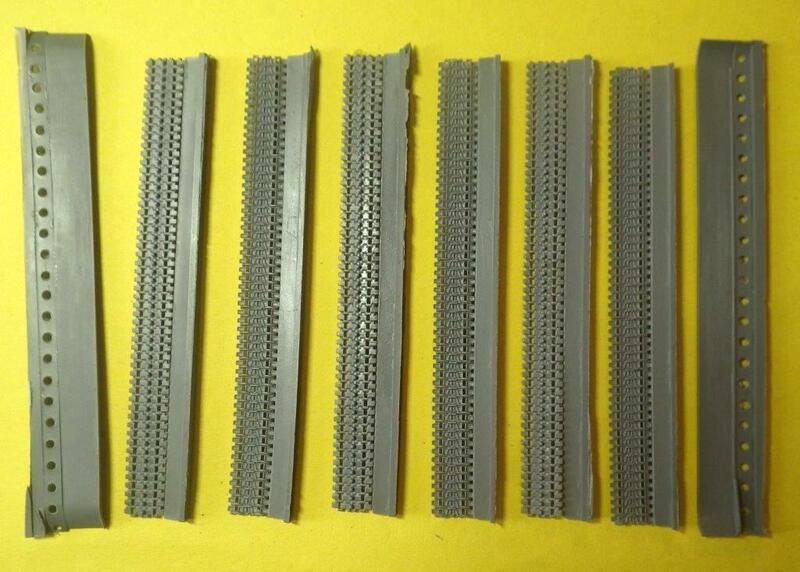 There are 127 resin parts, which includes the 2 turrets, lower hull, upper chassis, and six sections of tracks. Also included is a small sheet of photoetch. 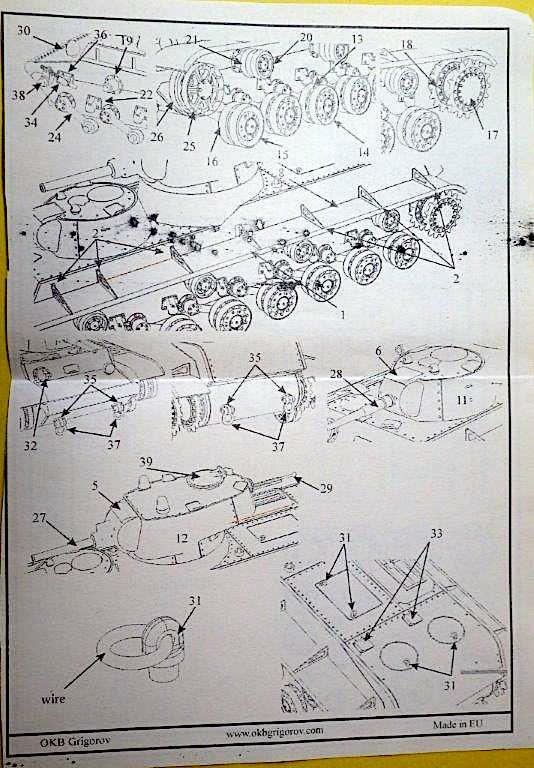 The instructions, which leave a lot to be desired, are just a two-sided photocopied drawing of the parts with numbers assigned to each part on one side and close-up drawings of sections of the tank on the other side showing where each part and photo etch piece goes. This is definitely not something for a beginner. Since there's no step-by-step, I decided to start by attaching the hull and chassis together. The parts fit relatively well, but there was a seam around the connection. The majority of this seam will be covered by the return rollers and tank track, but you'll need to clean up parts of it and line up the places where the return roller supports attach. Next, I attached the torsion bars and road wheels. 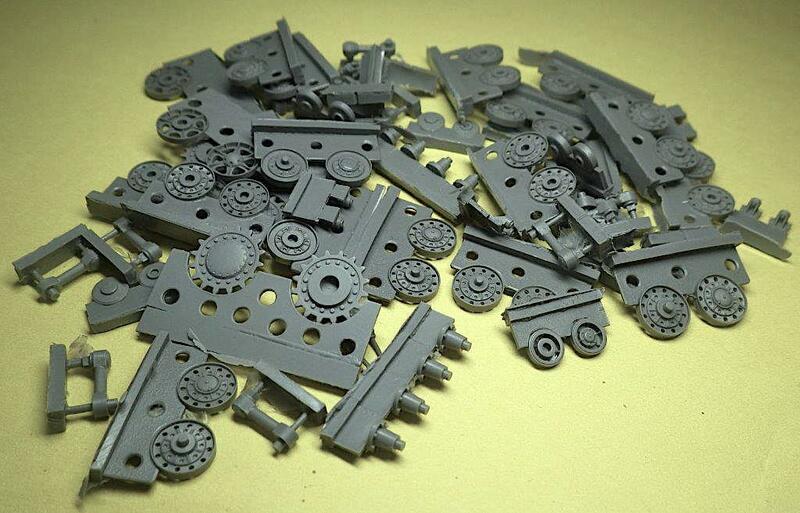 The most difficult part of this was detaching the road wheels from their resin sprues. The connections were very fine and easy to take care of, but making sure to remove the wheel without losing some detail took some work. I messed up a couple wheels before I got the hang of it. Once the suspension and drive sprockets were attached, I started working on the tracks. I was concerned that the tracks would break while trying to bend them around the wheels. However, the tracks were thin and somewhat flexible and attached with a limited amount of trouble. The tracks have excellent details and no flash whatsoever. Completing the rest of the build was pretty stress free. The photo-etch bracket for the fender went together fine and the turrets were mostly complete with just a few additions. One issue I did have, had to do with the uppermost turret's rear machine gun. The part is so delicate that I broke off the muzzle brake and that miniscule part disappeared forever into my carpet. The kit does not come with any decals, but the few pictures there are of the vehicle don't indicate that it had any markings. While I had my trepidations going into building this model, I was pleasantly surprised at the relative ease of construction, and impressive detail. 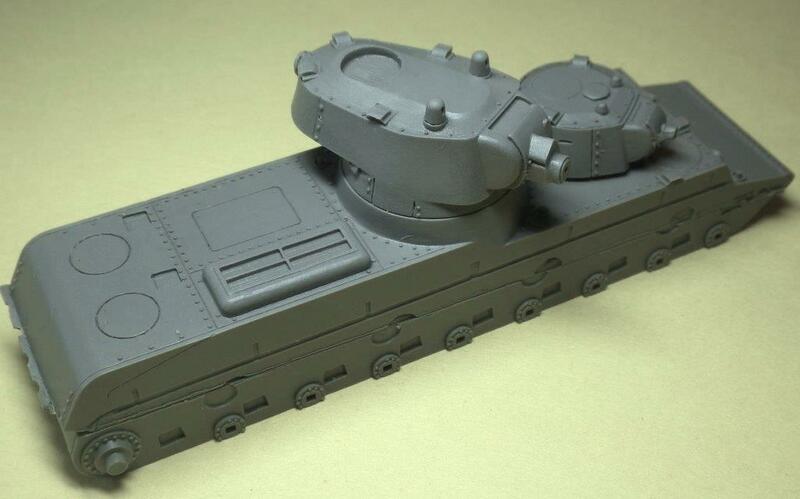 I'd recommend this kit to someone with an interest in rare tanks, or a collector of Soviet tanks. Due to the all resin and photo-etch nature of the kit, and the lack of clear instructions, it's probably a better kit for model builders with experience using these parts and working on short-run kits. Thanks to OKB Grigorov, and IPMS/USA for providing the review sample.